The Rainey Street Historic District's next tower is a step closer to becoming a reality. The 44 East project would bring 322 condos and ground-level retail space to the corner of Cummings Street and East Avenue. 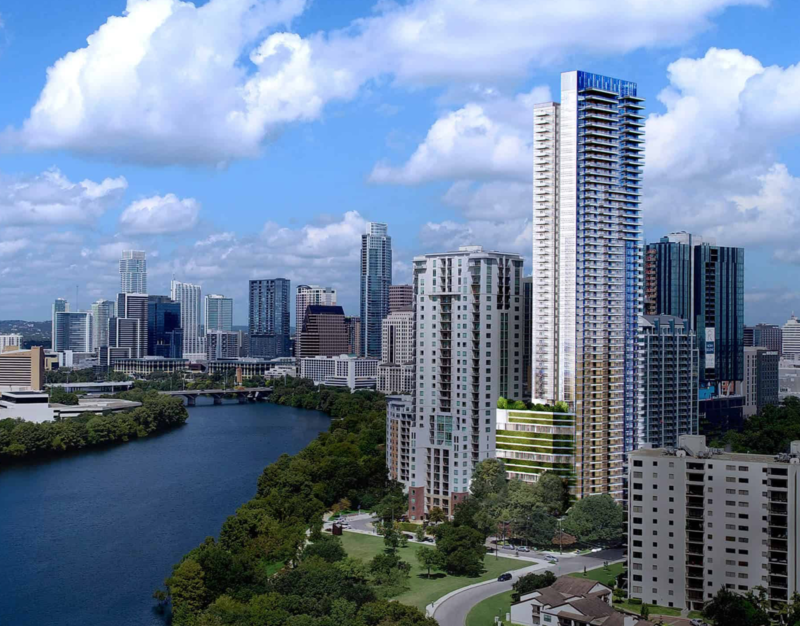 The Austin Design Commission voted March 25 to recommend the project be included in the city's Downtown Density Bonus Program. The density bonus request now heads to the city's Planning and Zoning Department for approval. City documents outlining the project's current plans indicate the 570-foot tower would contain 439,665 square feet, including 363,490 square feet of multifamily space and 3,527 square feet of ground-floor retail. This article was originally written and published by Austin Business Journal. You can read the full article here.